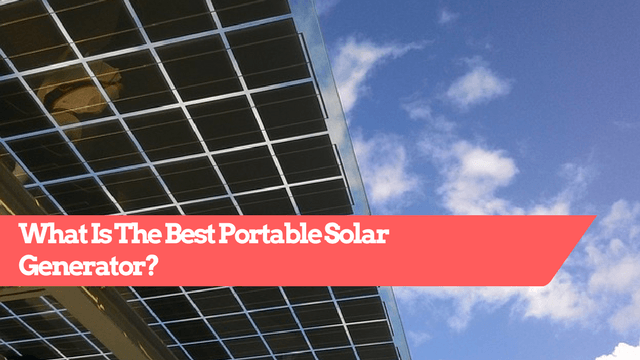 What Is The Best Portable Solar Generator In The Market For 2019? / What Is The Best Portable Solar Generator In The Market? When venturing out into the unknown, it’s nice to be able to take some of your everyday amenities with you. Whether you are camping, backpacking, or RVing having your electronics to either capture your experiences or have in case of emergency is a good feeling. But how do you keep these charged without lugging around a loud smoky generator? This is where portable solar generators come in handy. A generator on its own is fantastic for backup when the power goes out or if you’re on a camping trip and need some form of electricity. A portable solar generator is a great tool to have because most can be charged multiple ways but you don’t have to cart around a fuel source for it. So, what are the best portable solar generators on the market right now? The Goal Zero Yeti is great for those just starting to use generators. It runs at about 40 lbs and is great for a base camp or a cabin. The feature I like about this particular model is that you can charge it using the solar panel, plugged into a wall, or even your car. A solar generator is quiet and doesn’t emit a fume which is another great plus of any solar generator. The Yeti only has 33 AH of storage so be sure to research and calculate how much you’ll need to be powering before purchasing the Yeti. I love this model because of the convenience of just opening the case and it immediately charging. The suitcase shape also makes it easier to carry. This model is ideal for emergency situations and can be charged through your car as well. It is only 12.8 lbs which would make great for backpacking. Something else that sets this above other models is the replaceable battery. You can find replaceable batteries in bigger models, but nothing in this range. Something to note about this model is that, similar to the Yeti, it cannot replace a full power source, it is better used for small electronics and emergency situations. If you’re looking for something larger that can charge something more substantial than your smaller electronics, The Goal Zero 1250 is a great option. It is touted to be great to be used for camping, emergencies, and even tailgating. Compared to others, this model is on the more expensive side but still worth a look! The Goal Zero 22004 Yeti comes with 3 methods of charging it. It can be charged using a compatible solar panel, connecting to your car's 12V adapter or using the wall outlet at home. This is a smaller unit weighing in at 17lbs and the capacity is comparatively smaller. The Yeti 150 is capable of powering small to medium devices such as laptops, smartphones or lights. It takes longer to charge completely with solar power but you can also plug it into the wall or your car to speed up the charging. Overall this is a great and portable unit that you’re going to get a lot of use out of! The Suaoki generator is another great generator for smaller electronics and for generators its size. It’s probably the best portable solar generator for its size and capacity. At a little over 12 lbs, it is highly mobile and can be used anywhere from camping to while you’re out farming. It can charge up to 300W small appliances. People also love the variety of plugs it has to charge various items. When purchasing make sure your unit comes with a solar panel, if not you will need to purchase separately. Overall this is a great generator. Hopefully, this list of generators helps you in your search for the best portable solar generator! 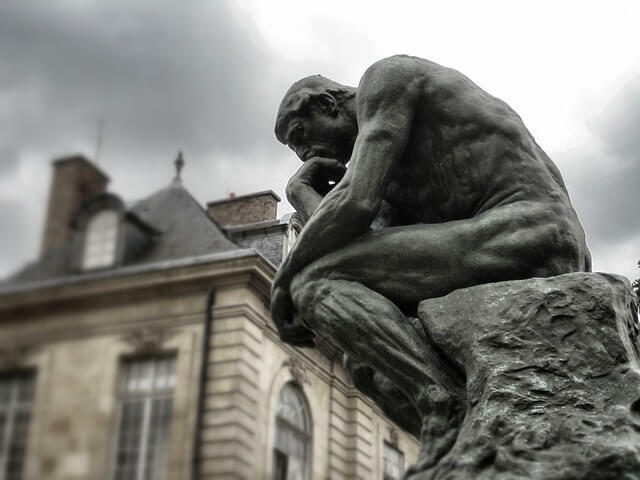 When researching on your own just be sure to really think about what your needs are and why you are purchasing a generator. Depending on your needs and what devices are you recharging; it will be a significant influence on your decision. If you just need an extra power source while camping to charge small electronics try out one of the smaller ones listed. If you need something a little more heavy duty, the Yeti 1250 might be better options for you.